Alice and Martin Provensen's illustrations are so delightful that children will want to join the fuzzy duckling on his stroll through the countryside, meeting animals along the way. This adorable counting story by Jane Werner Watson is as fresh today as it was in 1949. 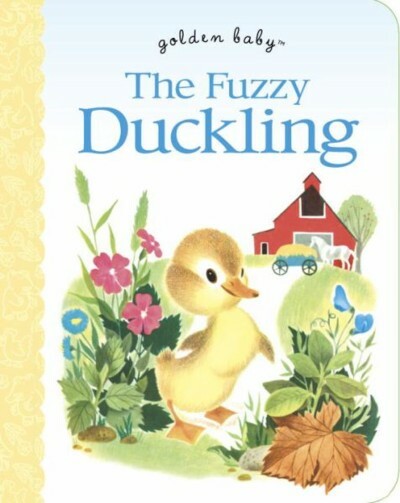 In this children's book there is a little fuzzy duckling who wants to go for a walk.The duckling asks 2 colts, then 3 cows, then 4 roosters, then 5 geese, then six lively lambs,etc... But no one will go for a walk with him. the motto for this story is,"When you can depend upon no one else, you can depend upon your family. "For ages 4-7.I hope you enjoy this wonderful story book. Deceased. JANE WERNER WATSON was a longtime editor of Little Golden Books, Big Golden Books, and many other associated formats. She also wrote a dazzling variety of Golden titles, from the bestselling My Little Golden Book About God to an adaptation of The Iliad and the Odyssey, along with dozens of favorite Disney titles. For decades the Caldecott medalists ALICE and MARTIN PROVENSEN illustrated a wide variety of Golden Books including The Color Kittens; The Iliad and the Odyssey; The Golden Book of Fun and Nonsense; The Golden Treasury of Myths and Legends; and Tales from the Ballet. Martin Provensen passed away in 1987.